Your world in 4K-Professional quality made for you! Built with the new generation Ambarella A9SE75 chip, Sony IMX377 image sensor, and 7 layers of all glass lenses. Records 4K/30fps at 60mbps, 4x the quality of 1080p. YI 4K Action Camera reaches new heights. Customized with a 330ppi high resolution and high sensitivity retina touchscreen for an intuitive experience. 2.19 inches of Gorilla Glass to resist scratches and daily impact. Viewable from a 160° angle. You wonâ€™t miss the perfect shot with the 640 x 360 widescreen for quick and easy previewing and shooting. Control YI 4K at your fingertips. No extra hands needed. World’€™s leading telecommunication semi-conductor solution provider’€™s latest BCM43340 chip will barely give you time to blink. Supports 802.11a/b/g/n 2.4G/5GHz. Significantly improved anti-interference technology. Download at speeds up to 30Mbps and have more time to shoot, edit, and share. Quick and convenient video editing, image/video filters, and music options. Simple enough for beginners to use, but designed for professional output. Youâ€™ll never have to struggle with a computer again! Don’€™t just shoot and edit epic videos, but share them with the global YI community as well! Whether you want to browse other user’s photos/videos or share your own, there’s a place for you in YI Community. 3.35 ounces of world leading imaging technology. YI 4K’€™s all-in-one and impact resistance design fits in your pocket and is ready for anything! With new colors and a high quality finish, it is not only a camera for shooting amazing photos/videos, but also the fashion accessory you’€™ve been waiting for. IMX377 is Sony’s new image sensor. Compared with previous versions, it captures high resolution image but consumes less power and also deliver better image quality at low light. IMX377 sensor supports 3840*2160 ultra-clear 4K video resolution and 12M pixel photo. It has 1.55um high sensitivity large sensor pixel size which helps produce bright images with clear details and less noise even in poor lighting conditions. YI 4K captures every moment of the action in ultra-clear 4K video resolution or 240fps frame rate. Electronic Image Stabilization (EIS) technology with 3-axis gyroscope and 3-axis accelerometer Action videos usually require post-production to reduce shakiness. 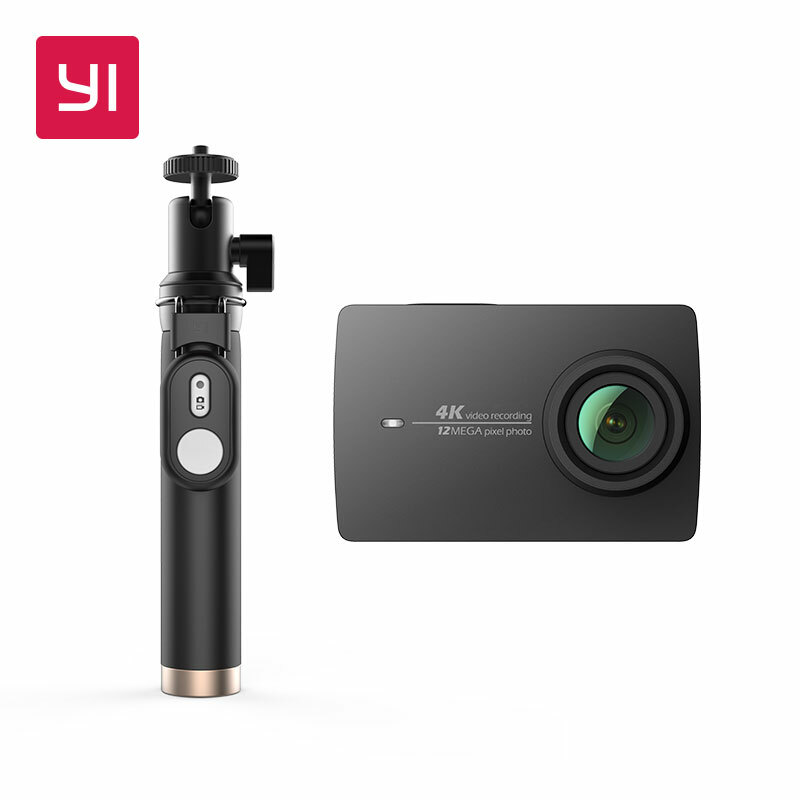 With YI 4K Action Camera, you can avoid extra time spent editing due to the camera’s Electronic Image Stabilization (EIS) feature. EIS uses built-in gyroscope and accelerometer sensor to detect position and motion change. When the camera tilts, moves, shakes or experiences impact, the sensors will send data to EIS and EIS will use image a cross-border compensation algorithm to compensate the change to produce stable videos. YI 4K Action Camera is now natively supported by Microsoft Hyperlapse Pro technology for flawless time lapse videos. Microsoft Hyperlapse Pro uses video frames to recreate 3D space and resample the video frames from the 3D space to create smoother and time lapse video which is perfect for sharing. Day or night, YI 4K is there. Image sensor automatically senses light conditions while recording. Wake up the camera from sleep mode in just 1 second so you won’t miss a moment. Even when powered-off, the camera can be ready to record in just 3 seconds.